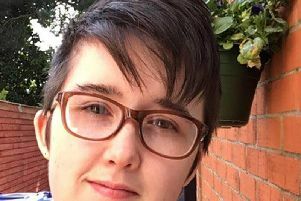 An adopted Derry woman who feared she would be deported after her application to settle in Derry as the bereaved partner of her late husband, Martin, was refused, has been granted a reprieve. Constance Jordan, who is originally from Florida, lost her Lecky Road-born husband to cancer last May. Last month the ‘Journal’ reported how the 57-year-old had been shell-shocked to receive a letter from the Home Office’s Visas & Immigration section advising that her application for settlement in Derry had been refused. Constance was told that she could be removed from the jurisdiction. Since the ‘Journal’ reported on the United States woman’s plight, however, there has been a positive development. The reprieve will allow Constance to work on her one woman show called ‘Good Grief’ about ‘Turning Devastation into Celebration’ that will be premiering on May 12, 2019. It’s a subject she is sadly well qualified to expand on. Prior to losing her husband Martin to throat cancer last May, the couple had lost their son Andrew, aged just 16, to Leukaemia in August 2007. The show’s planned premiere will fall on what would have been Andrew’s 28th birthday. Constance said that having received the 11th hour green light to stay in Ireland she can now really focus on the show, which will be taking place in the Ya Ya Shack cafe in the Gasyard. “I will be partnering with Ya Ya Shack because they lost a 16-year-old daughter to cancer just over a year ago, and they have started a charity in her honour to help parents dealing with paediatric cancer. That was one of my and my husband’s goals with our son,” she said. Notwithstanding the Home Office decision to allow her to remain here without restrictions the Hawthorn Drive resident still has many bureaucratic hoops to jump through. But, “at least there’s a light at the end of the tunnel,” she said. While Constance still faces some uncertainty around her status things are now looking a lot brighter.